In December 1965, Mary Beth Tinker was part of a small group of students who made history by wearing simple black armbands to school. Her brother, John, and their friend Chris Eckhardt were among the others. At the time, history was the last thing on their minds. Mary Beth was a shy 13-year-old, John had just turned 15, and Chris was 16. But they did make history, eventually winning a landmark Supreme Court ruling in favor of First Amendment rights for students. The year was 1965, when about 1000 soldiers had been killed in Vietnam. Inspired by an antiwar rally in Washington, DC, the students wore the armbands to mourn the dead and to support Robert F. Kennedy’s call for a Christmas truce. A few hours after school started, Mary Beth was called out of algebra class and told to remove her armband by the vice principal. She did, but was suspended anyway. Within days, others were punished as well. Four years later, following heated school board meetings, death threats to our families, legal help from the ACLU and two lower federal court cases, the United States Supreme Court heard the students’ case. On February 24, 1969, in a 7-2 ruling, the students won. The Tinker ruling, officially known as Tinker v. Independent Community School District No. 21, 393 U.S. 503 (1969), is still cited in nearly every student First Amendment case, and almost all American civics and history textbooks refer to it. The case fascinates students, who often use it for their History Day project. 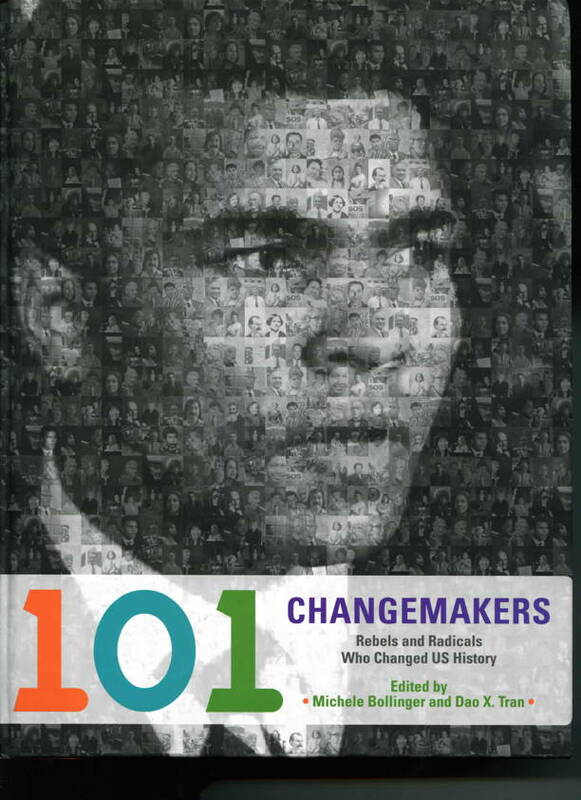 In 2012, Mary Beth was included in the book, 101 Changemakers: Rebels and Radicals Who Changed US History, along with such notable figures as Rosa Parks, Mark Twain, Albert Einstein and Martin Luther King. The Student Press Law Center, which published a 40-year-retrospective look back at the impact of the case on student rights. 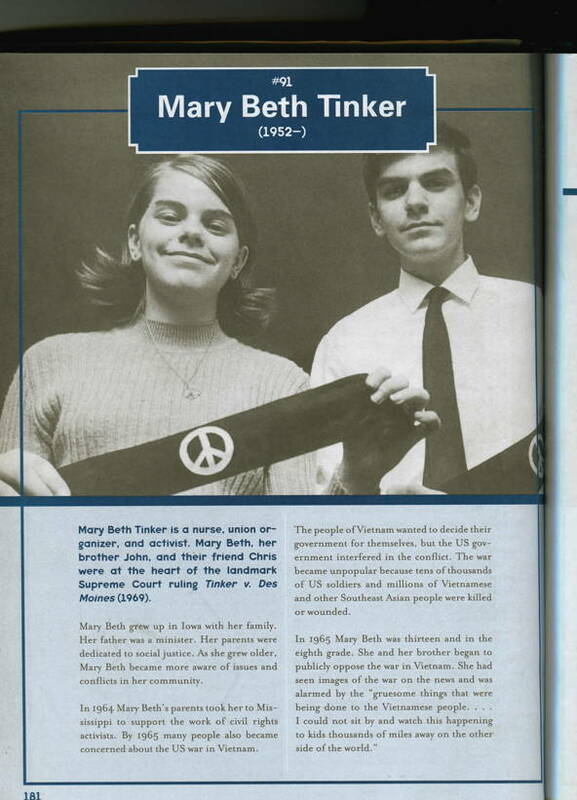 The Center also also produced an interview with SPLC executive director Frank LoMonte and Mary Beth Tinker and Mike Hiestand in which they talk about the Tinker Tour. The interview includes Mary Beth’s story of what happened in December 1965 and the events that resulted in her landmark Supreme Court case. The Comic Book Legal Defense Fund (yes, really) has a good summary of the case & story.